South Africa’s largest self storage property fund, Stor-Age Property REIT Limited (“Stor-Age”), successfully debuted on the JSE following a substantially oversubscribed pre-listing capital raise. Extraordinary depth in opening trades impressed with over 287 300 shares traded in the first half-hour at an aggregate value of more than R3,8 million. 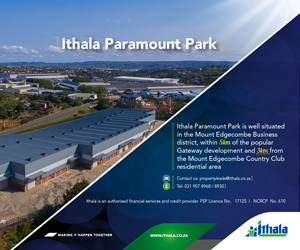 The listing of the R1.3 billion portfolio of quality, well-located self storage properties is the first of its kind in South Africa. Stor-Age is a highly specialised property fund focused on the fast growing self storage sector, a niche sub-sector of the broader commercial property market. The company provides self storage solutions across 32 properties, which are differentiated by their high visibility to passing traffic, easy access off busy arterial routes and proximity to middle to upper income suburbs. Given the significant pre-listing demand for the stock, the board exercised its discretion to up the capital raise. A final total of approximately R1,02 billion was raised against the initial target of R715 million, primarily with select institutional investors. CEO Gavin Lucas explains the application of the funds, with the lion’s share (R907 million) to be used in reducing the company’s gearing to around a 10% loan-to-value level. “The remaining R112 million will be used to settle sale proceeds owing to partners, Growthpoint Properties Limited and Fairstore Trust.” Each sold its respective 100% and 68% interest in Stor-Age to accommodate the pre-listing capital raise. Lucas says: “The overwhelmingly positive response to our private placement affirms the strength of our business differentiators and prospects. The market understands that we operate in a recession-resilient niche property sector with high growth potential, which provides investors with an attractive first-time investment opportunity.” Stor-Age offers the first and currently only exposure on the JSE to the self storage property sector, which internationally has outperformed its REIT peers across all sectors. He adds that Stor-Age’s key objective is to deliver an attractive income stream from a portfolio of high quality self storage properties with potential for income and capital growth. “We are forecasting above-average distribution growth in the medium term,” he says indicating confidence for the future.